Your Top 10 Nespresso Questions Answered - Which? We answer the most commonly asked questions about Nespresso. 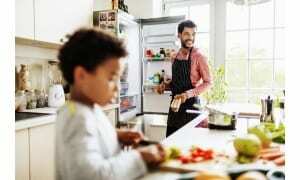 Find out where to buy Nespresso, how to use Nespresso machines and more. If you’re wondering whether a Nespresso machine is right for you, or if you’ve got questions about a machine you already own, our expert advice can help. We’ve answered the 10 most asked questions about Nespresso machines and capsules to help you make your buying decision, or get the most out of your existing machine. We’ve put the whole Nespresso range through our rigorous coffee machine tests over the years. We assess how good each model is at making coffee, as well as how easy it is to use and clean, so we have plenty of Nespresso knowledge up our sleeves. Below, you'll find answers to the most asked questions on Google based on data from 1 January 2016 to 1 January 2017 (source: Google Trends). Browse through to learn more about Nespresso, or click one of the links below to jump straight to a specific question. 2. Where to buy Nespresso pods? 3. 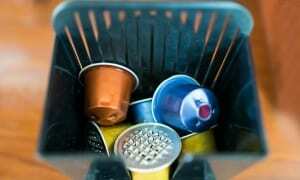 How to use a Nespresso machine? 4. How to descale a Nespresso machine? 5. How many calories are in a Nespresso vanilla bullet? 7. 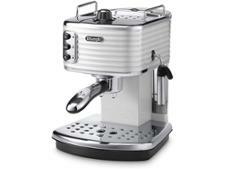 How to use a Nespresso Aeroccino 3? 8. How to use a Krups Nespresso machine? 9. How much caffeine is in a Nespresso? 10. How to reset a Nespresso machine? 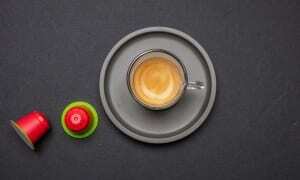 Nespresso coffee machines make espresso coffee drinks using single-serve coffee capsules. These are pre-measured with a portion of ground coffee for a speedy and convenient coffee hit. Nespresso capsules come in a variety of different strengths and flavours, and they’re designed to be super simple: with most Nespresso machines it’s as easy as putting a capsule in your machine, pressing a button and waiting for your drink to materialise. You can make short or tall espresso drinks in most Nespresso machines. Some models offer a wider range of drink size options or a memory function to remember your preferences. Most Nespresso machines can be bought as a bundle with the Nespresso Aeroccino milk frother, which allows you to make milky drinks, such as cappuccinos and lattes, at the press of a button. Some models have built-in automatic milk frothers, a few have steam wands for manual frothing. To see reviews of all the main Nespresso machines, and find out which ones we think are best, head to our Nespresso machine reviews. You can buy Nespresso pods from the manufacturer via nespresso.com or in store at a Nespresso boutique. Traditionally, it's been hard to get hold of them elsewhere, although there are Amazon sellers stocking them. If you order straight from the Nespresso website, they’ll also pick up your old capsules to recycle. You can buy Nespresso-compatible coffee pods from major supermarkets, some of which work out to be much cheaper than Nespresso's official pods. But first find out which are the best Nespresso-compatible capsules, so you end up with a good deal instead of a false economy. Always make sure other brands’ capsules are compatible with your particular model of Nespresso machine before you use them, to prevent any blockage or breakage. Nespresso machines are designed to be simple to use: you prime them by running some water through it without a capsule in place, then pop your capsule in, get your cup in place, and press go. 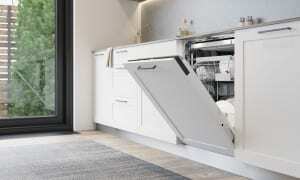 But each machine works slightly differently, and some can be fiddly and take getting used to, so acquaint yourself with the instructions before you get started. Nespresso provides downloadable versions of its user manuals for each model online. It's worth reading through the manual so you can make the best use of features that might not appear immediately obvious, such as changing the length of the coffee to your preferred drink size, and to ensure you understand how to maintain your machine - this can pay off in the long run. Our Nespresso coffee machine reviews let you know how easy each machine is to use and how clear the instructions are. So if you’re still in the deciding phase, you can use our reviews to compare machines on this basis. If you’re using non-Nespresso pods, read our guide on how to use Nespresso-compatible capsules to get the best out of them. Nespresso recommends that you descale your machine approximately every three months, and that you use the official Nespresso descaling kit. Run the machine, using a container to catch the water coming through. The exact process might be slightly different, for example if you have a filter on your machine, so check the machine instructions or consult Nespresso’s machine assistance page to select your exact model and get step by step instructions. It's well worth doing this regularly, as our research into common coffee machine problems reveals issues to do with machines getting bunged up with limescale are one of the more common failings you're likely to face. For more advice, see our guide to cleaning your coffee machine. The calories in Nespresso capsules are negligible, so it depends how you serve a Nespresso drink. Nespresso says there are 300 calories in 100g of roasted and ground coffee and that its espresso capsules contain 5.5g of coffee on average, whereas the lungos contain approximately 7g of coffee per capsule. It states that, as coffee grounds are not consumed whole, but rather their contents are dissolved in water, the calorie count is even smaller. According to Nespresso, a 40ml cup of espresso contains approximately 0.6 calories, while a 110ml lungo contains approximately one calorie. Of course, if you add extras, such as milk or cream, this is going to go up, but the calorie content of Nespresso capsules themselves is minimal when brewed black. You might have seen Nespresso machines with different brand names - such as DeLonghi, Krups and Magimix attached. Nespresso the brand name is owned by Nestle, but it sells or licenses the actual making of Nespresso machines to other small appliance manufacturers. 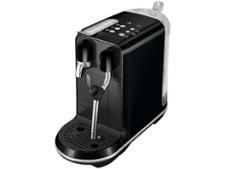 DeLonghi tends to make Nespresso machines with built-in milk frothing (the Nespresso Latissima range), whereas Krups and Magimix produce most of the standard range of capsule machines, including the Nespresso Inissia, Pixie, CitiZ, Essenza, Prodigio and U. The only difference between these brands is usually smaller features such as the nozzle shape, colour and button placement. More recently, some premium Nespresso machines have been launched by brands such as KitchenAid and Sage by Heston Blumenthal. See our Nespresso coffee machine reviews to compare all these models and find the best for you. 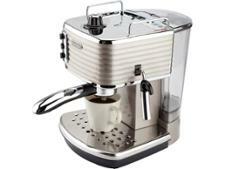 The Nespresso Aeroccino3 is an automatic milk frother that can be bought as a bundle with Nespresso machines or separately, costing around £50. It allows you to easily froth milk for milky coffees such as cappuccinos. You can also froth cold milk for other drinks, or make plain hot milk without frothing. Pour out your milk and enjoy the drink. This model has now been superseded by the Aeroccino 4 milk frother, which is dishwasher safe and has additional frothing options. Krups manufactures a whole range of Nespresso machines, so the exact operation of the machine will be down to the specific model you have. Consult your instruction manual, which you can find on the Nespresso website. To find out which models are easiest to use, check our Krups Nespresso reviews. The caffeine content in Nespresso capsules generally ranges from 50 to 80mg. Espresso and ristretto varieties usually have between 60 and 80mg of caffeine, while some espresso varieties have slightly less at 50mg. The Kazaar capsule is an exception - described by Nespresso as 'exceptionally intense', it has 120mg of caffeine, which is handy if you want a pick-me-up in the mornings. Nespresso also has a decaf range, which only contain about 2 or 3mg of caffeine each. You might want to reset your Nespresso machine to recalibrate the cup volumes. Again, this will depend on the specific model you have. In most cases, resetting your Nespresso machine to factory settings simply involves turning your machine off, pressing and holding down one of the buttons (commonly, the lungo button), and waiting for it to flash three times. Find the user manual for your specific Nespresso machine on Nespresso’s website to tailor the instructions to the model you have. Now that you know what's what when it comes to Nespresso coffee machines, why not check out our reviews of Nespresso compatible capsules to find out which coffee pods we recommend, based on the views of our panel of coffee tasting experts.